This is a guide for FFXIV players to learn how to minimize effort to the max when playing FFIXV instead of the pursuit to optimize play. When you reach the maximum level - level 60 in FFXIV, there is quite a backlog of abilities to consider. 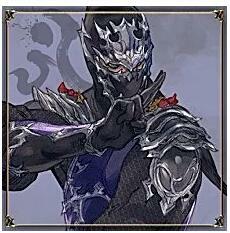 If you want to buy FFXIV Gil, FFXIVGilBuy is your best choice! Buffs and cooldowns or allies can often be used at appropriate time to breeze through enemy packs like teeth through fudge, whilst others might as well be used whenever they’re up -- DPS classes often have a lot of these. Players can finish dungeon runs with just one or two abilities on hotbar and ignore the other stuff with abandon, unless you are in one of those painfully elitist raid group. I give some comparison and scope of the energy that players usually waste on convoluted strategies and analysis the difference in effort role by role with min/maxing. After grouping a team with AOE attacks, cycle through heavy damage-reducign cooldowns. The main respective jobs are Vengeance, Rampart and Shadowkin. These can minimize damage on big groups. Keep in mind that a large pack of monsters can do much more damage than the dungeon bosses- cooldowns are rarely needed for them, and in many case you can switch to your DPS stance to help things along. In terms of min/max method, you can grab as many enemies as you can and ignore the cooldowns since the healer’s job is to heal constantly. Focus single target or whatever you want to do. Remember that healers can heal anyone else who takes aggro. Help tank to further reduce their incoming damage, rely on fairy to heal as SCH or cast a Regen. With all this and the tank’s self-buffs in tandem, the tank should be in a safe place for a good 20 seconds, where players can throw out some respectable AOE damage and activate Cleric Stance with the likes of Holy, Bane Damage over Time or Gravity. Save the insta-heal buttons to top up the tank quickly if a pull drags out, followed up with some regular shielding/heals. If you are a White Mage, sometimes, you can heal an entire pull by popping Benediction when the tank gets low, which makes you continue the Holy death-spree, MP allowing. Whenever you anticipate a mass usage of your MP directly preceding its use, Shouroud of Saints. In the next part of this guide, I will introduce another method. Hope this guide can be helpful for your FFXIV playing.